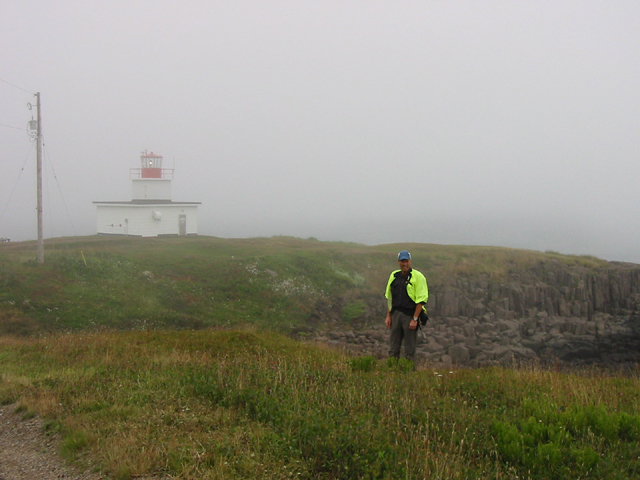 On the Way via the Scotia Prince Lighthouse Bike Tour - First Day Tusket - Oldest Courthouse in Canada St. Anne Russeau On the Way to Barrington Passage On the Way to Barrington Passage On the Way to Barrington Passage Shelburne - Dory Shop Shelburne - Dory Shelburne - Guess I Wasn't Biking Fast Enough Sommerville Beach Sommerville Beach - First Glimmer of Sun On the Way to Liverpool Liverpool Lighthouse LeHave Ferry LeHave Ferry Lunenburg Lunenburg Lunenburg Lunenburg Lunenburg Lunenburg Mahone Bay Mahone Bay Mahone Bay - Cold Cucumber Soup at Ocean Grill!! Mahone Bay - Ocean Grill!! Bridgewater - River Park Camping Bridgewater Bridgewater Bridgewater Annapolis Royal - Fort Anne Annapolis Royal - The Royal Gardens Annapolis Royal - The Royal Gardens Annapolis Royal - The Royal Gardens Annapolis Royal - The Royal Gardens Annapolis Royal - The Royal Gardens Annapolis Royal - Strawberry Shortcake at Newmans Bear River - Town Built on Stilts Bear River - Galleries Picnic Park Along Highway 101 Picnic Park Along Highway 101 The Beach at Picnic Park Gilbert's Cove Lighthouse St. Bernard Church Belliveau Cove - Camping Belliveau Cove - Lighthouse Belliveau Cove - High Tide Belliveau Cove - Jellyfish Belliveau Cove Smuggler's Cove Park Smuggler's Cove Park Sanford - World's Smallest Drawbridge Sanford - Andy and Dennis on the World's Smallest Drawbridge A Well-Earned Feast on the Last Day! Lighthouse Bike Tour - Last Day! Peggy's Cove Peggy's Cove - Lighthouse Peggy's Cove - Lighthouse Halifax - Tower Clock Halifax - The Citadel Mabou - Red Shoe Pub Cape Breton Highlands National Park - from Skyline Trail Cape Breton Highlands National Park - from Skyline Trail Cape Breton Highlands National Park - from Skyline Trail Cape Breton Highlands National Park - from Skyline Trail Cape Breton Highlands National Park - from Skyline Trail Cape Breton Highlands National Park Cape Breton Highlands National Park Cape Breton Highlands National Park Cape Breton Highlands National Park - Fishing Cove Cape Breton - Pleasant Bay Cape Breton Highlands National Park - Macintosh Brook Falls Cape Breton Highlands National Park Cape Breton - Bay St. Lawrence Cape Breton - Cabot Landing Park Cape Breton - Neils Harbor Cape Breton - Neils Harbor Cape Breton - Neils Harbor Cape Breton Highlands National Park - Black Brook Beach Cape Breton Highlands National Park - Black Brook Beach Cape Breton Highlands National Park - Black Brook Beach Cape Breton Highlands National Park - Green Cove Cape Breton Highlands National Park - Green Cove Ingonish - Seascape Coastal Cottage Ingonish - Seascape Coastal Cottage Ingonish - Seascape Coastal Cottage Beach Ingonish - View of Middle Head and Keltic Lodge From Our Cabin Cape Breton Highlands National Park - Middle Head Trail Cape Breton Highlands National Park - Middle Head Trail Cape Breton Highlands National Park - Cape Smokey From Middle Head Trail Cape Breton Highlands National Park - Middle Head Trail Cape Breton Highlands National Park - Freshwater Lake Lookoff Cape Breton Highlands National Park - Freshwater Lake Lookoff Cape Breton - Cape Smokey Cape Breton - Cape Smokey Cape breton - Looking Back at Englishtown Ferry Crossing Cape Breton - Bay St. Ann Lookoff Cape Breton - Bird Islands Cape Breton - Bird Islands Cape Breton - Fortress of Louisbourg Cape Breton - Fortress of Louisbourg Cape Breton - Fortress of Louisbourg Cape Breton - Fortress of Louisbourg Cape Breton - Fortress of Louisbourg Cape Breton - Fortress of Louisbourg Cape Breton - Fortress of Louisbourg Cape Breton - Fortress of Louisbourg Cape Breton - Fortress of Louisbourg Cape Breton - Fortress of Louisbourg Cape Breton - Fortress of Louisbourg Cape Breton - Louisbourg Lighthouse Point Cape Breton - Louisbourg Lighthouse Point Cape Breton - Baddeck Lighthouse and Alexander Graham Bell House Glooscap Trail - Salter Head and Bay of Fundy Glooscap Trail - Bay of Fundy Low Tide Glooscap Trail - Bay of Fundy Low Tide Grand Pre - Acadian Church Wolfville - Low Tide Wolfville - High Tide Digby Brier Island - Northern Light Brier Island - Seal Cove Brier Island - Southern Light Brier Island - Southern End Brier Island Lodge Brier Island Brier Island Brier Island Brier Island Brier Island - Whale Watch Boat Brier Island - captain of the Ship! Bay of Fundy - Humpback Whale Bay of Fundy - Humpback Whale Bay of Fundy - Humpback Whale Bay of Fundy - Humpback Whale Bay of Fundy - Humpback Whale Cape St. Mary Beach Steaming Out of Nova Scotia on the Last Day!